"Shooter kills at least 50" was a headline we saw last week. The killer had rented a hotel room above a concert area and brought dozens of weapons including modified assault rifles. We were shocked. 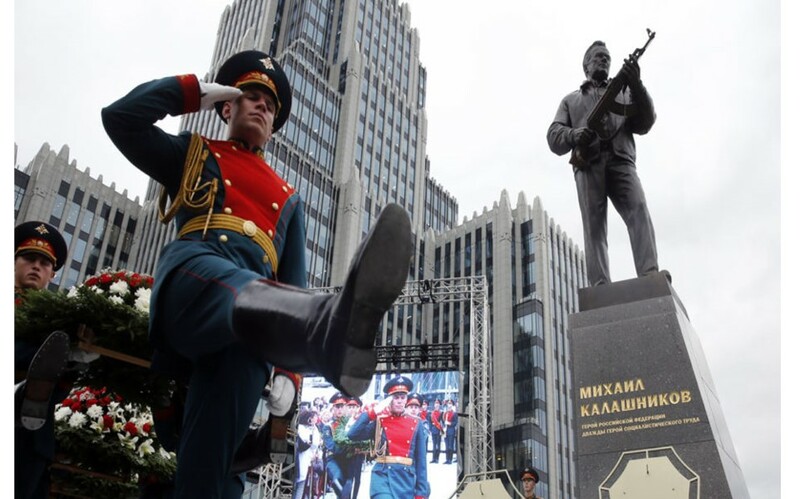 Ironically, a few weeks earlier a new monument was dedicated in Russia to the inventor of the world famous AK-47. Russian Lt. General Michael Kalashnikov invented the AK-47 in 1947. It sold over one hundred million and won him hero status in Russia and a monument in Moscow. However, late in life he was guilt-ridden over his invention knowing it had been used by soldiers, terrorists and criminals. He said he'd "wished he had invented a lawn mower instead." A letter he wrote to the patriarch of the Orthodox Church asked if he thought God would hold this against him. Would it have made a difference if Kalashnikov would have invented a helpful lawnmower instead? That may have soothed his conscience but no amount of good deeds will cover the sins we have committed because the wages of even one sin against a holy God earns us death (Rom. 3:23; 6:23). The simple truth of the 1517 Reformation was that salvation is by faith alone in Christ alone and not by faith plus our works. Here I Stand is our theme for the 500th anniversary of the Reformation this Octover. Luther stood on the Bible alone for a clear understanding of salvation. Oct. 8 & 15 I'll speak on Galatians, the book used most during the Reformation. On Oct. 22 Caleb Suko will speak on the sole authority of Scripture and on the 29th I'll speak on the impact the Reformation had on home life. Then on Nov. 5th noted author Doug Bond will dramatize Luther's life at 9:15 and speak on the impact of the Psalms during the Reformation. Join us. Our Living Nativity outreach is coming Dec. 2 & 3. We have 125 signed up and only about 40 more are needed. Contact GayleSchriner@yahoo.com for details. Visit our Living Nativity page at http://www.discoverybaptist.org/living-nativity to see what it is about.